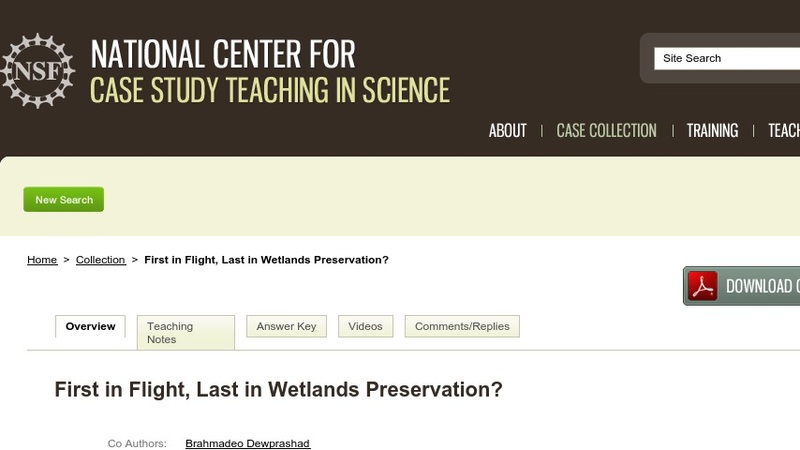 First in Flight, Last in Wetlands Preservation? Developed for an introductory environmental studies course, this case study explores the ecological, economic, and legislative issues associated with land development and wetland loss. Students role-play the points of view of four different stakeholders and then write a report that provides specific recommendations for the mayor of a city considering an expansion of the metropolitan airport that will result in the loss of wetlands. Biodiversity is a topic that students typically associate with tropical regions of the world. A strength of this case is that it brings this topic home by connecting biodiversity with tradeoffs involved in local economic development, with the functional value of wetlands, and with the controversy surrounding wetland "mitigation" as a means of achieving the national "no net wetland loss" policy goal.